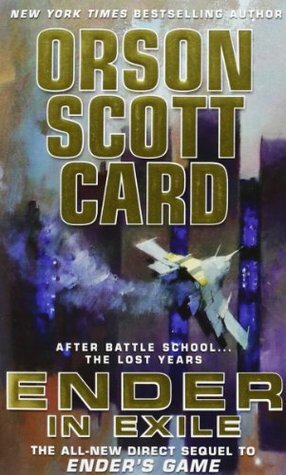 ’Ender in Exile’ is a bridge between ’Ender’s Game’ and ‘Speaker of the Dead’, and it tidies up loose ends from other novels, most notably those from the Shadow Series. Orson Scott Card’s view on life shows (“Dear reader: marry and have kids!”), and the pacing feels somewhat off with the middle of the book being sluggish and the ending rushed. Yet despite, it’s an impressive feet from OSC to keep up this quality of writing for so long, as his books are almost meditative in the clarity of thought they express. I’d highly recommend ‘Ender in Exile’ for the Enderverse fanatic.